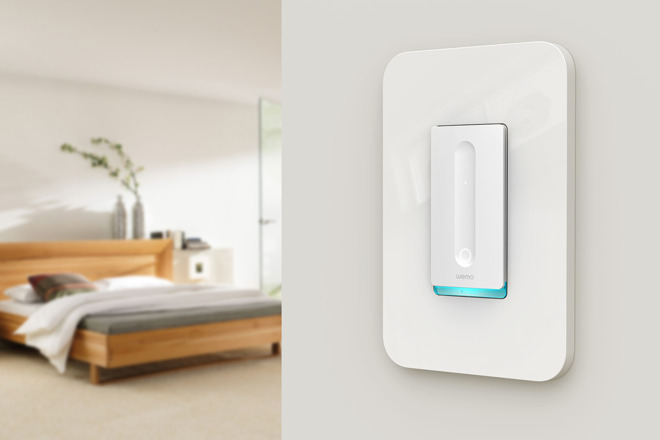 The Wemo Smart Dimmer Switch is a simple in-wall dimmer used to control lighting in the home, bringing smart-home capabilities to otherwise traditional lighting. Originally, Wemo released a bridge (review) to bring support to existing devices on the market before Apple debuted software authentication. Instead of relying on a physical hardware authentication chip, Apple brought software authentication with iOS 11.3 and allowed manufacturers to (hopefully) expedite the time to market for new accessories. The Wemo Mini Smart Plug was the first device to make it to market using Apple's HomeKit software authentication, bringing support for Apple's smart home platform without having to buy any additional hardware. Wemo highlights many of the use cases of having your lights connected to HomeKit including building your home's lights into scenes, controlling them via Siri, and scheduling them. Using an in-wall dimmer switch can also be more cost-effective than replacing several lights in larger rooms with recessed lighting that are all controlled via a single switch such as hallways, living rooms, and kitchens. Users can download the latest version of the Wemo app to perform a software update that enables HomeKit on their Wemo Smart Dimmer Switch.